Zócalo's Joe Mathews proposes a timely new map for California: Redwood Time (in green), Almond Time (red), and Cactus Time (yellow). Illustration by Celia Jacobs. Do you know what time it is, California? It’s time for new thinking about time, and time zones. By putting Proposition 7 on this November’s ballot, the state legislature has granted us this opportunity to rethink our whole relationship to time. The measure has been described in the media as ending daylight saving time, but that’s not right. In fact, the measure would merely undo the 1949 ballot initiative that locked daylight saving time in place in California. That would only be a dawn, not a dusk, in this tale of time, because Prop 7 is a rare and beautiful thing. Most ballot measures seek to close debates. But if it passes, Prop 7 would open a big conversation about how Californians set our clocks and live our lives. That’s an opportunity we should embrace in California, which has a paradoxical relationship to time: We are a place that runs ahead of the rest of the world in culture and technology even as our clocks spend every day running hours behind the rest of the world. One of Prop 7’s legislative sponsors, Assemblywoman Lorena Gonzalez Fletcher, says that the measure’s passage would present the state with three options. The first is status quo: We could leave current daylight saving time in place, and continue to set our clocks an hour forward in spring and an hour back in fall. The second option would be to end daylight saving completely and return us to standard time year-round. The third option would be to make daylight saving permanent, which would require a two-thirds vote of the legislature and federal approval. The debate about daylight saving is worldwide, and includes many competing arguments I don’t want to spend precious time on. Instead, I wish to emphasize the chance California now has to settle the question of what time policy is best—for the state and the world. How? By choosing all three time options, at the same time. I propose that California conduct a time experiment on itself, much the way Silicon Valley shows different groups of people different versions of the same website in a ritual called A/B testing. In my experiment, different parts of California would live under different times—while researchers study the effects. That’s right. For five years, let’s divide into three time zones and see what happens. This might sound crazy, but multiple time zones fit our peculiar geography. While Californians think of our state’s geography as running on a north-south axis, look at a map and you’ll see we’re a diagonal shape with a west-east orientation. San Francisco, after all, is more than five degrees’ longitude west of San Diego. Our eastern border with Arizona is more than 10 degrees east of our northwest corner. These distances mean that even though California is one time zone, it’s not really the same time wherever you are in California. San Francisco can experience sunrises and sunsets more than a half-hour later than San Diego. In summer, the city of Blythe, on the Colorado River, sees the sun set an hour earlier than Cape Mendocino, on the northern coast. The best tool for dividing the state into time zones is the 120th meridian—120 degrees west. The 120th meridian serves as our north-south border with Nevada in Northern California, from the Oregon border to Lake Tahoe, where the border turns southeast. To form time zones, make the 120th meridian the divide all the way through the state, from Tahoe south all the way to the Central Coast, where it hits the Pacific north of Santa Barbara. West of the 120th meridian would be one time zone, Redwood Time, with standard time year-round. To the east of the 120th meridian would be Cactus Time, with daylight saving time year-round. This 120th meridian has one problem—it splits the San Joaquin Valley in half. No region should labor under two different times, California should create a third time zone just for the eight San Joaquin Valley counties—Kern, Kings, Tulare, Fresno, Madera, Stanislaus, San Joaquin, and Merced. This would be the control group of our experiment, running on the existing seasonal daylight system. Instituting multiple time zones would have virtues beyond merely conducting the experiment. Multiple zones could inspire more of the larger regional planning California needs, since different regions of the state would be on different times. The multiple zones might soothe separatists who threaten to divide the state entirely—and not just by the time on the clocks. The zones could even be a force for unity in a politically fractious American West. Cactus Time California would be on the exact same time as its neighbor, Arizona, which long ago chose to stay at standard time year-round. Cactus Time also would be Mountain Time in winter, removing the need for clock changes when Southern Californians ski in Utah or Colorado. Redwood Time would be the same as Alaska’s time in spring and summer, meaning no clock changes for Northern Californians exploring the Last Frontier. And given Silicon Valley’s power and links to companies in the Pacific Northwest, it seems possible that Northern California could pull Oregon and Washington into its experiment with standard time. Is it too much to hope that greater time synchronization could inspire greater collaboration between Western states on energy, trade, or health care? Multiple time zones might well help with brownouts during late afternoon peak hours. If you can stagger the hour that people come home and turn up the AC and throw clothes in the dryer, you’d go a long way toward making California’s grid more stable. And multiple time zones could encourage an experiment in starting the school day later, a policy that researchers suggest would make kids less tired and more ready to learn. With sunrise coming after 7:30 a.m. in Cactus Time, Southern California would be the place to try a 9 a.m. school start. When I tried out my idea of multiple time zones on Gonzalez Fletcher, the Prop 7 legislative sponsor, she didn’t like it. “Can you imagine trying to do conference calls” with the different times? But she represents San Diego in the Assembly, and multiple time zones would provide a time subsidy for Southern California legislators and citizens who engage in state policymaking. Under my plan, anyone flying to Sacramento from L.A. or San Diego would gain an hour as they traveled. So you would arrive on your hour-long flight to the state capital at the same hour you left, making it easier to get to morning hearings. Time is money, and when’s the last time Sacramento saved you any of either? Such an experiment might seem out-there, but out-there experiments are quintessentially Californian. In the process we’d produce up-to-date data to share with a world that is debating what time regime could make us healthier, wealthier, or wiser. 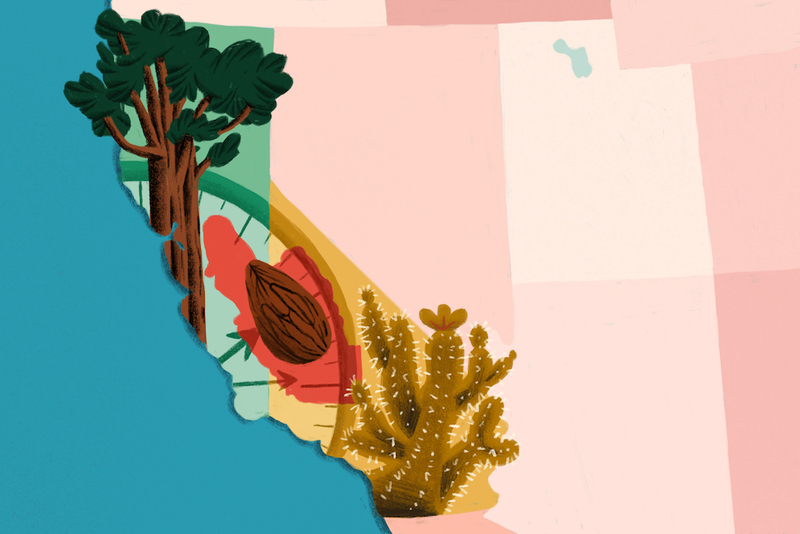 After five years of three zones, California could make its own informed choice. Or perhaps we’ll find we like the experiment, and decide that California is so timelessly diverse that its people can keep their own different times.